The main aim of primary tooth pulp therapy is to maintain arch length and integrity by preserving the pulpally involved tooth as a natural space maintainer. The two major procedures used to perform pulp therapy in primary teeth, pulpotomy and pulpectomy, have evolved over the years. 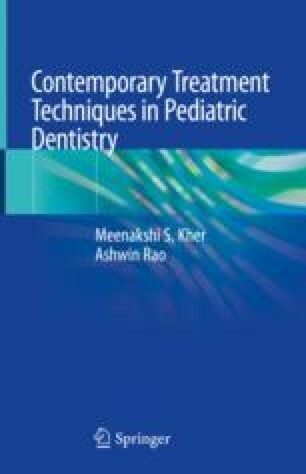 This chapter discusses contemporary pediatric endodontic concepts and definitive indications and contraindications for primary tooth pulp therapy. It includes a step-by-step description of both the MTA pulpotomy and a single-visit pulpectomy using rotary files in primary posterior teeth. High-resolution clinical pictures of every step along with long-term follow-ups and clinical tips will help the reader achieve predictable prognosis when carrying out these valuable procedures.